BCCI has released the full schedule of VIVO IPL 2019. 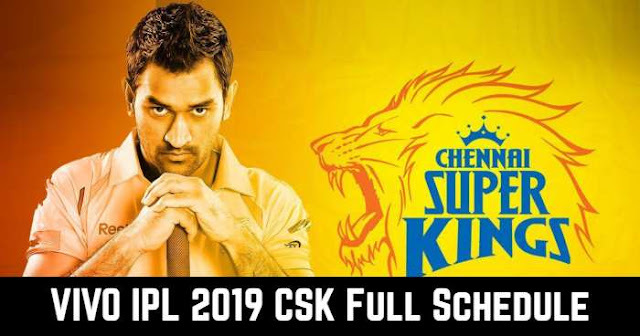 Chennai Super Kings will be playing the opening match of the tournament against Royal Challengers Bangalore on 23rd March 2019 at M.A. Chidambaram Stadium, Chennai.